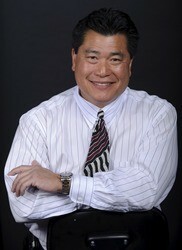 Roger Chang practices general dentistry with an emphasis on veneers and implants in all three of our offices. Dr. Chang graduated from the UCLA School of Dentistry in 1983 where he earned Dean’s List recognition and won a California State Scholarship. He treats every patient as if they were a part of his family and loves to see them smile about their smiles. Dr. Chang is proud that his offices offer an alternative to the sterile drudgery of a typical visit to the dentist, and that his team of specialists can handle any case without a patient ever having to visit another practice. Thomas Wong practices general and cosmetic dentistry at all three of our locations. 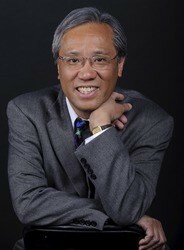 He was a classmate of Dr. Chang’s at the UCLA School of Dentistry and also graduated from there in 1983. Dr. Wong derives his greatest satisfaction from helping to change the lives of his patients through improving their smiles. He is a past recipient of the local award for Best Dentist. Dr. Wong’s philosophy is simple: he strives to care for his patients to the best of his ability.